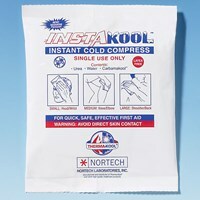 The InstaKool Instant Cold Compress (Medium: 5 x 7 inch size) is great to keep on hand for instant treatment of knee and elbow injuries as they occur. Unlike conventional cold packs, the InstaKool does not require freezing, so it can be kept on hand virtually anywhere (home, office, car, boat, in a sports bag, etc.) and be ready to use at a moment's notice. 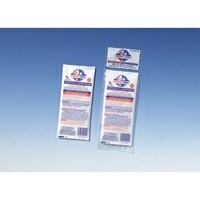 It's easy to use: simply squeeze to burst inner pouch, shake to mix and the pack will become cold. 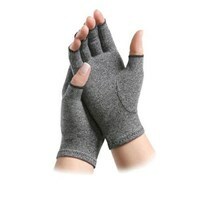 Then you just apply to the affected area wrapped in a cloth or sleeve. 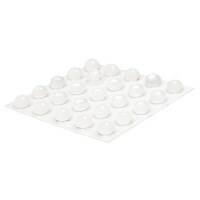 Perfect for sports injuries, sprains, bruises and bumps. 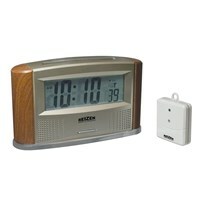 May also be used for migraines and to relieve arthritis pain. Latex free. Single use only. 3 per pack. 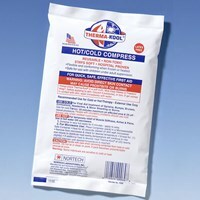 Made in the U.S.A.
Reusable Therma Kool Hot-Cold Compress - 6 x 9 in. 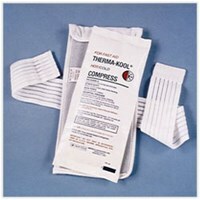 Reusable Therma Kool Hot-Cold Compress - 4 x 9 in. 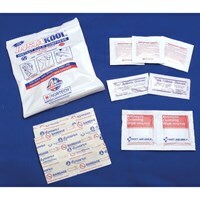 Reusable Therma Kool Hot-Cold Pak - 9 x 12 in.